Welcome to another Wiki Wednesday! 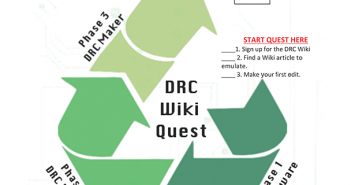 We’ve been talking recently about public wikis, such as the DRC Wiki, Wikipedia, and other wikis on the web. This week for Wiki Wednesday, we’re talking about a different site for teaching with wikis: a classroom-based site. Your campus’s Learning Management System, such as Blackboard, Canvas, Moodle, Sakai, and others, may support class-based wikis or wiki-like structures. Additionally, class wiki sites can be created online, such as through Wikispaces, PBWorks, or another online site. Rather than writing for the entire world, a class-based wiki provides students the opportunity to write for a known audience: their class. This approach can be used to provide a scaffolding opportunity preparatory to writing on a public wiki, as well as scaffolding for other types of writing activities. In classes that incorporate exams, students sometimes ask for study guides or often the more general question, “What’s on the exam?” One way to address those questions is to have students develop their own study resources using a class wiki. The exam provides students with a clear purpose—preparing for the exam, while the class provides a specific audience. The creation of wiki entries provides students with experience writing with material that they’ll be called upon to use during the exam. This lesson asks students to write class wiki entries and to review and edit their peers’ wiki entries, providing them iterative exposure to the content in their wiki entries. In the class wiki, students have an opportunity to engage in collaborative authorship, including removing textual ambiguity, elaborating on definitions, adding content, checking sources, and editing for mechanics issues, thus bolstering writing through revision. A Class Wiki in Blackboard. This multi-day lesson is an opportunity for students to work with material they will be expected to know on an exam, providing them with familiarity and confidence with content by engaging with material multiple occasions prior to entering the examination. This lesson provides students opportunities for working with knowledge and sources and situating evidence in support of their writing activities. While this practice may be beneficial for exam preparation, it also provides experience developing skills that will also be incorporated in future essay writing. 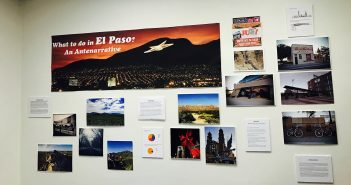 As a result of this activity, students should gain experience working with the content they are expected to learn in accordance with course learning outcomes. Further, this digital writing provides an opportunity for understanding the benefits of collaborative writing. Students should better understand how to write according to different genre expectations—wiki vs. exam, as well as how to write in accordance to specific style guidelines. The instructor will first need to activate a class wiki within the course LMS or on the Web. Instructors will want to determine whether they want to provide students a list of entries to develop or whether students will develop that list collaboratively. Instructors will want to determine what guidelines for wiki entries they wish to provide students or whether to develop those with the class. If the class has more than one exam, the instructor can consider whether to work on the wiki for one exam only or to return to it multiple times for multiple exams. Editing a Blackboard Wiki Entry. Introduce students to the wiki by either using a projector (for face-to-face classes) or a screencast (for either online classes or for homework/future reference). Model the creation of a wiki entry for your students both from the standpoint of using the wiki and also from the expectations regarding wiki entry content. Demonstrate to students how to edit others’ entries in accordance with wiki entry expectations and how the wiki tracks entry histories. Have students develop entries based on important terms or concepts, according to the wiki entry expectations. Have students edit peers’ entries according to the wiki entry expectations, stressing that editing doesn’t mean focusing solely on mechanics. Instead, students should refer to the sources and evidence listed in the entry and examine the entry and the sources together. Peers may contribute additional content, elaborate on definitions, and address any textual ambiguities. What were your experiences in incorporating sources and evidence in writing your wiki entries? How does creating a wiki entry differ from writing for an exam? How is it similar? What contributions were most helpful in revisions to your entries? 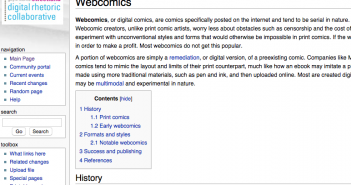 What can writing for a wiki tell us about the writing process? How does writing an essay compare with creating a wiki entry and/or writing for an exam? What similarities and differences are there? How is peer review for an essay similar to or different from peer editing a wiki entry? How has your understanding of this content changed as a result of writing about it multiple times and in different ways? Have you used wikis for exam study? Let us know how if you have in the Comments section below. If not, try adding this activity to courses that incorporate exams. Share it with fellow instructors. Let us know how your class-based wiki works in the Comments section below. And tell us about other ways you use wikis in the classroom.